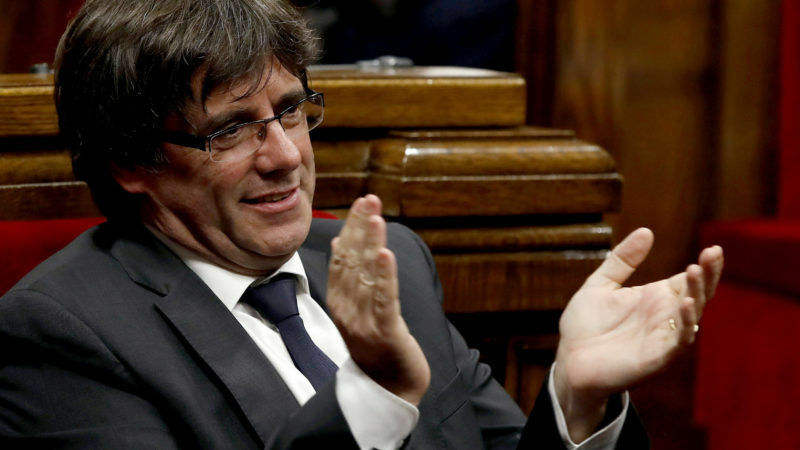 Catalan leader Carles Puigdemont, who is in self-imposed exile in Belgium, was a no-show at the demonstration that included pro-independence European Parliament members and several members of the exiled regional government. “Democracy in Spain is not only sick, it is practically dead,” Spanish MEP Josep-Maria Terricabras, who backs Catalan independence, told the demonstrators. “I think that it is absolutely terrible that the European institutions don’t understand that when you attack democracy you cannot applaud (Spanish Prime Minister Mariano) Rajoy and institutions in Spain that are outside the law,” he added. The protest, just metres from the European Union’s main institutions, came a day after hundreds of thousands of Catalans protested the jailing of regional officials for their push for independence from Spain. In Brussels, protesters held photos of the jailed officials, as well as signs saying “Shame on you” for the EU’s failure to lend support to Catalonia. Flags from Belgium’s Dutch-speaking region of Flanders were also prevalent at the protest, with sympathy deep for the Catalonian cause among Flemish nationalists. The EU was “founded to not see the return dictatorship and facsim in Europe,” said the ousted Catalan Minister of Health Antoni Comin. As Comin spoke, the crowd interrupted with chants of “Libertad (freedom)” and “All not here” in reference to the jailed regional officials in Spain. Comin is one of five officials who fled to Belgium after Spain dismissed the Catalan executive and imposed direct rule on the semi-autonomous region following the declaration of independence by the parliament there last month. 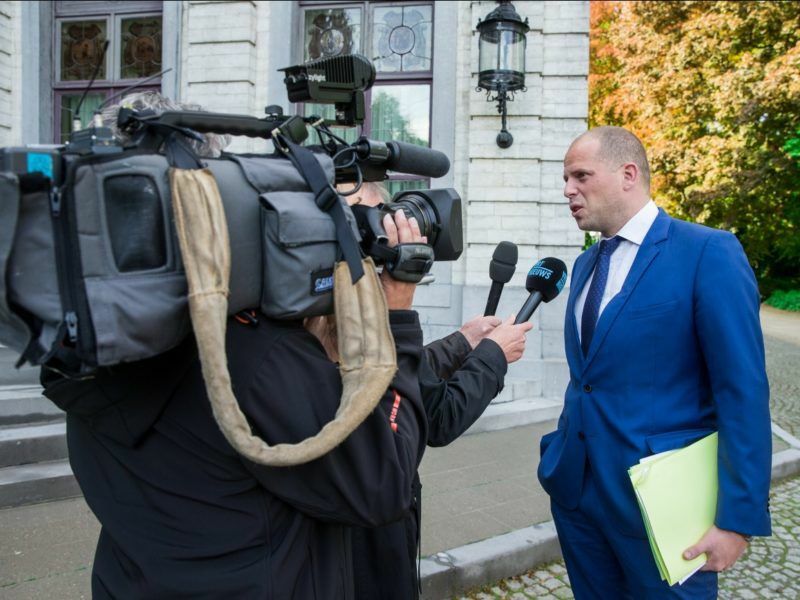 Belgian judges are reviewing a European arrest warrant filed by Spain on charges of sedition and rebellion against the five Catalans. 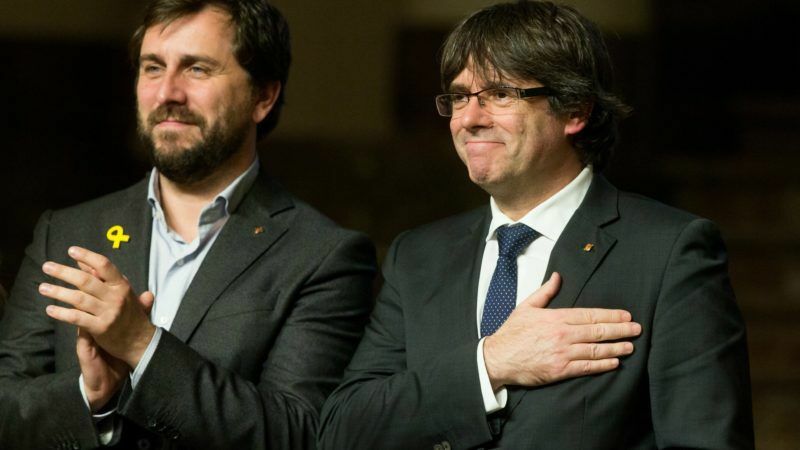 The Belgian judge overseeing the extradition of sacked Catalan President Carles Puigdemont and four of his cabinet members intends to request clarifications from Spain over the charges laid against the fugitives, sources close to the case told EURACTIV.com.